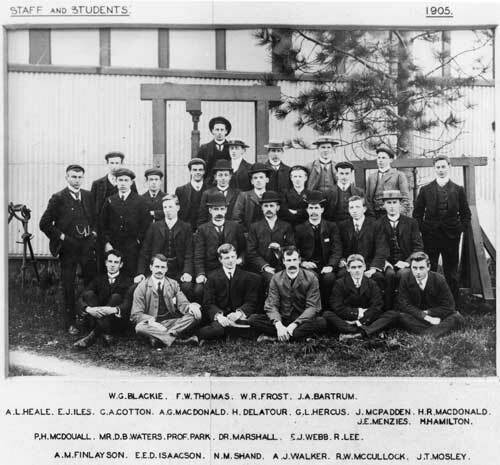 Geologists James Park and Patrick Marshall sit together as part of a group at the Otago School of Mines in 1905. Five years later, their bitter public disagreement over the extent of glaciation in New Zealand entertained Dunedin newspaper readers. Park argued that the South Island had once been covered by an ice sheet that originated in Antarctica, but this was disputed by Marshall because of the lack of geological evidence. Marshall’s ideas have since been vindicated. Download the PDF document to read part of the debate.